Welcome to the Walled Lake Northern High School Student Activities portion of Lakes Valley Conference! Here are some highlights from the Walled Lake Northern High School Student Activities and Leadership groups. Enjoy! GO KNIGHTS! 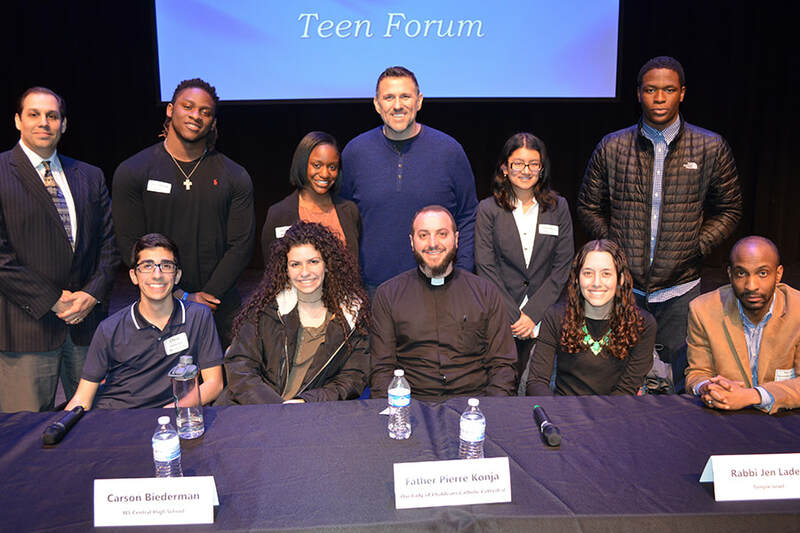 Walled Lake, MI – March 6, 2018 – Teens from Walled Lake Central, Northern and Western High Schools came together on Tuesday, March 6, to dialogue with religious leaders about their beliefs, cultures and ethnic traditions as part of the Chaldean News and Jewish News Building Community Initiative. The Teen Forum was moderated by radio personality Mojo of Channel 955-FM. Sponsors for this event included Martin Manna, Co-Publisher of the Chaldean News and Arthur Horwitz, Publisher of the Jewish News. Religious Forum panelists included: Rev. D. Alexander Bullock, Greater St. Matthew Baptist Church, Detroit; Rabbi Jen Lader, Temple Israel, West Bloomfield; and Father Pierre Konja, Our Lady of Chaldeans Catholic Cathedral, Southfield. Student Forum panelists included: Carson Biederman and Chris Hamama, WL Central; Egerton Abulu and Areeba Maysun, WL Northern; and Dalesia Malcolm and Jonathon Moffett, WL Western. This event offered engagement and activity for the Chaldean-Jewish Building Community Initiative and Walled Lake Schools Superintendent Kenneth Gutman is proud to offer this opportunity to high school students in a District where there are some 80 languages spoken. “This Teen Forum is an opportunity for our (WL Central, WL Northern, WL Western) students to share their perspectives on respecting and recognizing the differences and most importantly, the similarities in other religions and cultures. The goal of the event is to build understanding among our students and to ensure everyone is treated with dignity and respect,” Gutman said. ​For more information, contact Judy Evola at judyevola@wlcsd.org. Walled Lake, MI – February 12, 2018 – Walled Lake Northern High School Performing Arts Department presents The Addams Family on Feb. 23-25 & March 1-3 at Walled Lake Northern High School (6000 Bogie Lake Road, Commerce 48382). Evening performances start at 7:30 p.m. with the Sunday matinee beginning at 2 p.m. The production’s cast includes 66 students with another 40 students participating in the pit orchestra and 20 students in the technical crew. 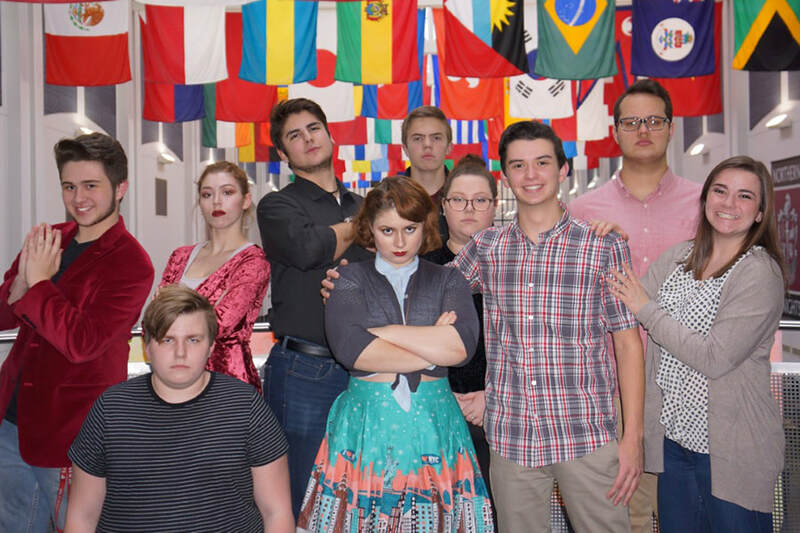 Students in leading roles include: Nicolas Fernandez, Leah Riben, Cesar Nowicki, Maggie Lichtman, Ethan Laporte, Carolyn Sadler, Mitchell Schuldinger, Leslie Meloni, Joseph Dobson and Brendan Hood. Tickets are on sale now and can be purchased online through the secure Walled Lake Consolidated Schools ticket website, www.wlcstickets.com or by calling 248.956.5465. Premium seats are $21 for adults, $17 for students and senior citizens. Reserved seats are $18 for adults, $15 for students and senior citizens. For group sales and for assistance with handicap seating please contact the box office 248.956.5465. Special events surrounding this production include, the February 24 performance will feature on stage, American Sign Language shadow interpretation taking place during the production. As well as all tickets for the March 1 show being sold for $11. For more information, visit www.wlcstickets.com or call 248.956.5465. 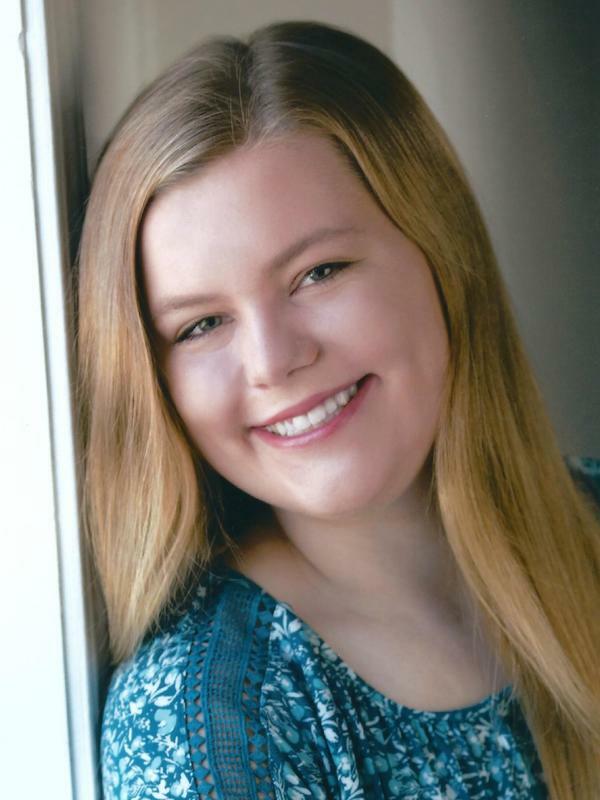 Walled Lake, MI – January 31, 2018 – The Walled Lake Consolidated School District is proud to recognize Julie Smith, Walled Lake Northern senior, for recently being named a finalist for the Michigan High School Athletic Association (MHSAA) Scholar-Athlete Award. Julie is one of 120 finalists for the award in the state of Michigan. While attending WL Northern, Julie has taken two Advanced Placement (AP) classes and is the owner of a 4.0 grade point average (GPA). Outside the classroom, Julie is captain of the cross country team as well as a member of the ice hockey and lacrosse teams. She is also a mentor in the school’s SNAPS/PALs Program for Autistic students, she is a member of the National Honor Society, and she sings in the school’s advanced choir, the Chamber Singers. After graduation, Julie will be attending Central Michigan University’s Honors College to study speech pathology and autism education. Student applications for this award were judged by a 64-member committee of school coaches, counselors, faculty members, administrators and board members from MHSAA member schools. The selection of the 32 scholarship recipients will take place in early February with a special ceremony taking place during halftime of the Class C Boys Basketball Final, March 24, at the Breslin Student Events Center in East Lansing. ​​For more information, contact Judy Evola at judyevola@wlcsd.org. 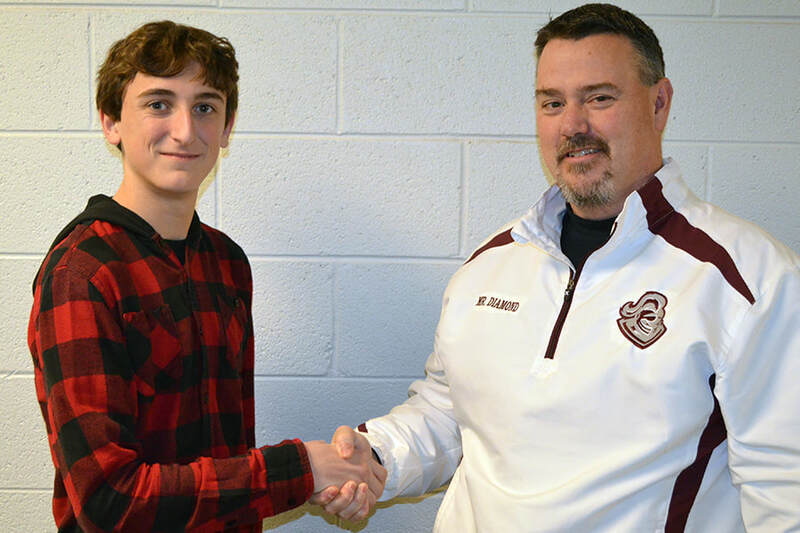 Walled Lake, MI – January 24, 2018 – The Walled Lake Consolidated School District is proud to recognize Samuel Frank, Walled Lake Northern High School junior, for earning a perfect score of 36 on the ACT. While attending WL Northern, Samuel has completed five honors courses and seven Advanced Placement (AP) courses. He is planning to take four additional AP courses during his senior year. Outside the classroom, Samuel is a drum major in the marching band and he is also a member of Grammar Club. Samuel is the son of Karen and Pascal Frank. He is currently interested in attending the University of Michigan, University of Chicago or Columbia University to study astrophysics. 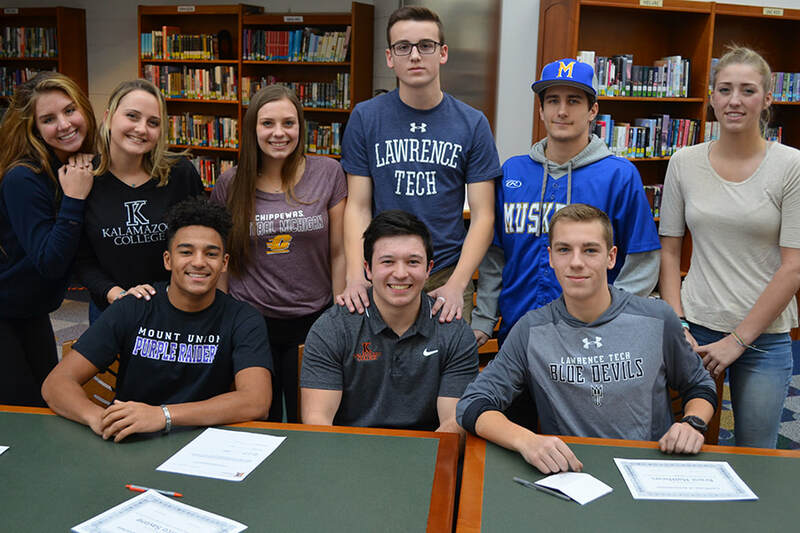 – Walled Lake Northern High School hosted a College Commitment event on Feb. 6 for nine student athletes that plan to pursue athletics at the collegiate level. These nine athletes are Samantha Harris, Chandler Holloway, Mackenzie Maiorano, Brent Matthews, Zack Northcott, Gabriella Rosely, Kyle Sabin, Marco Savone and Anna Shedlowsky. Chandler Holloway plans to attend the University of Mt. Union to play football and join the track team. He is the son of Chantell and Charles Holloway. Mackenzie Maiorano plans to attend Kalamazoo College to play lacrosse. She is the daughter of Jill and Michael Maiorano. Brent Matthews plans to attend Lawrence Tech University to play lacrosse. He is the son of Dawn and Barry Matthews. Zack Northcott plans to attend Muskegon Community College to play baseball. He is the son of Colleen and Michael Northcott. Gabriella Rosely plans to attend the University of California at San Diego to join the swim team. She is the daughter of Tonya and Jack Rosely. Kyle Sabin plans to attend Lawrence Tech University to play baseball. He is the son of Michelle and Matthew Sabin. Marco Savone plans to attend Kalamazoo College to play football. He is the son of Catherine and Guerino Savone. Anna Shedlowsky plans to attend Oakland Community College to play volleyball. She is the daughter of Lindy and Stan Shedlowsky. For more information, contact Charles Froning at charlesfroning@wlcsd.org. Walled Lake Northern High School recently celebrated its Homecoming on Oct. 20 with a wide variety of activities. Walled Lake Northern hosted Lakeland High School for their Homecoming football game. The Knights lost by the score of 30-22. 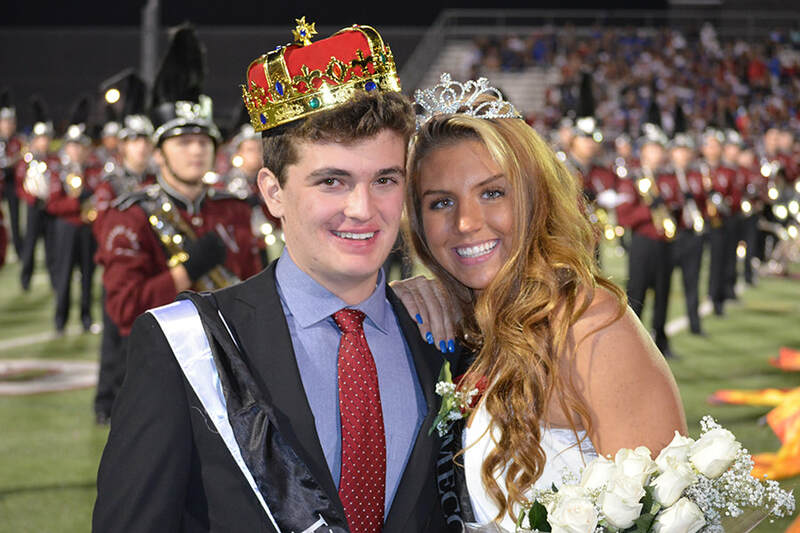 Dale Kercorian and Gabriella Rosely were named Homecoming King and Queen. This year’s Homecoming theme was “Outer Space”. 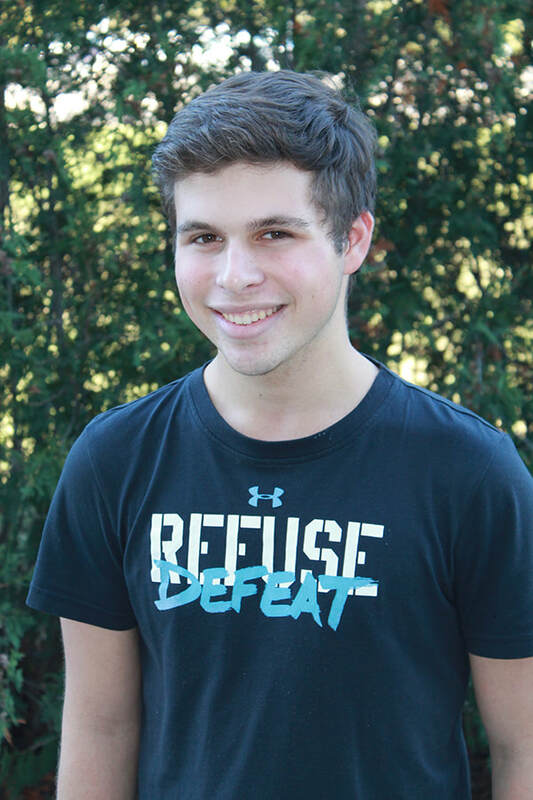 Walled Lake, MI – October 17, 2017 – The Walled Lake Consolidated School District is proud to recognize Jacob Cohen, Walled Lake Northern senior, for earning a perfect score of 36 on his ACT. While attending WL Northern, Jacob has completed seven honors courses and four Advanced Placement (AP) courses. He is taking five additional AP courses during his senior year. Outside the classroom, Jacob participates in the marching band and pit orchestra. He is also a member of the National Honor Society, History Club, Interact, and the Grammar Club. “Seeing my score for the first time was a moment that inspired a feeling of complete fulfillment. All of the work I put in and the help I received from my parents, friends, and teachers since my parents first taught me how to read afforded me the opportunity for a moment that I will never forget, a moment that represents a step towards achieving my goals,” said Cohen. Cohen is the son of Leslie and Jeffery Cohen. He is undecided on his choice of college but his top three schools include Columbia University, the University of Michigan and Northwestern University. Jacob plans major in history for his undergraduate degree and then attend law school. Recently, WL Northern hosted their annual Volleyball Marathon fundraiser. Proceeds from this year’s fundraiser benefited Save a Child’s Heart, an organization that provides heart surgeries for child from around the world that otherwise would not get the treatment that they need to survive. The 2017 Volleyball marathon raised $22,590 dollars. The marathon had many forms of entertainment for students to enjoy including a hypnotist, bungie run, volleyball and tons of donated food. 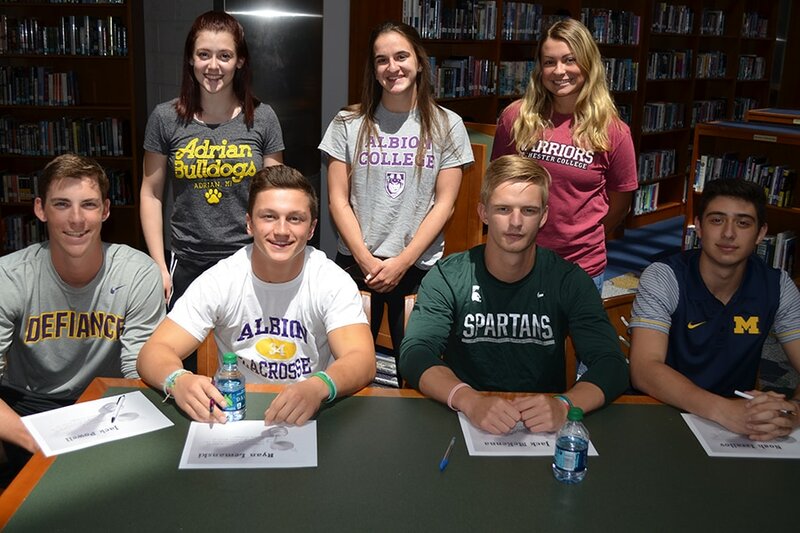 May 25, 2017 – Walled Lake Northern High School hosted a College Commitment event on May 22 for seven student athletes that plan to pursue athletics at the collegiate level. These seven athletes are Marley Booth, Alayna Hackman, Noah Izrailov, Brandi Kroll, Ryan Lemanski, Jack McKenna and Jack Powell. Marley Booth plans to attend Rochester College to play softball. She is the daughter of Shelly and Steve Booth. Alayna Hackman plans to attend Albion College to join the swim team. She is the daughter of Debbie and Christopher Hackman. Noah Izrailov plans to attend the University of Michigan, Dearborn to play lacrosse. He is the son of Pauline and Emil Izrailov. Brandi Kroll plans to attend Adrian College to join the track team. She is the daughter of Karen and Kevin Kroll. Ryan Lemanski plans to attend Albion College to play lacrosse. He is the son of Teresa and Jeff Lemanski. Jack McKenna plans to attend Michigan State University to play football. He is the son of Colleen and Brian McKenna. Jack Powell plans to attend Defiance College to play baseball. He is the son of Kristen and William Powell. May 25, 2017 – The Walled Lake Consolidated School District would like to congratulate several Spanish language students from Walled Lake Northern High School who attained national recognition for excellent performance on the 2017 National Spanish Examinations. Students from Walled Lake Northern have a long history of achievement on these exams and were taught by Spanish teachers, Andrea Dashe, Maral Karadolian, Catherine Savone and Piper Smith. The students who take the exam do it as part of their active membership requirements in the Sociedad Honoraria Hispánica, or the National Spanish Honor Society. 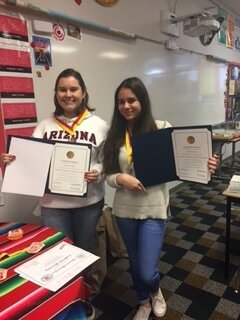 Northern's chapter, “Los caballeros andantes” (Knights Errant), was founded in 2006 by student, Audrey Topp, and teacher, Catherine Savone. The National Spanish Examinations are administered each year throughout the country in grades 6 through 12, and are sponsored by the American Association of Teachers of Spanish and Portuguese.